Welcome to this new service provided by ILMCOA. We are offering you the chance to take advantage of our frequently visited website and advertise your businesses with us. 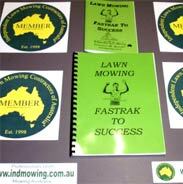 ILMCOA is the largest Lawn Mowing Association website on the web today. Just type the words "lawn mowing" into the google search engine and you will see that we rank no.1 in the non-sponsored results! All you need to do is fill out this form. Once your details have been approved, we will host the information free of charge on this new Lawn Mowing Directory so you can now receive customer leads for free. You can make unlimited updates or changes. The information is limited to text only and a brief description. No more than 30 words (inc. contact numbers) in total can be submitted in lower case. A link to your business information will be in the most prominent location on the ILMCOA home page. - Preferential positioning and bold text in the ILMCOA Free Ads section. - Professional custom designed website page. - Have your own web address tagged to our very own website e.g. - Display your company logo, and a whole page worth of text and images. - Make unlimited amendments to the content. Please note: In the interest of equality and fairness all our entries are listed in alphabetical order. ILMCOA PHP ads will get preferential positioning and bold text.